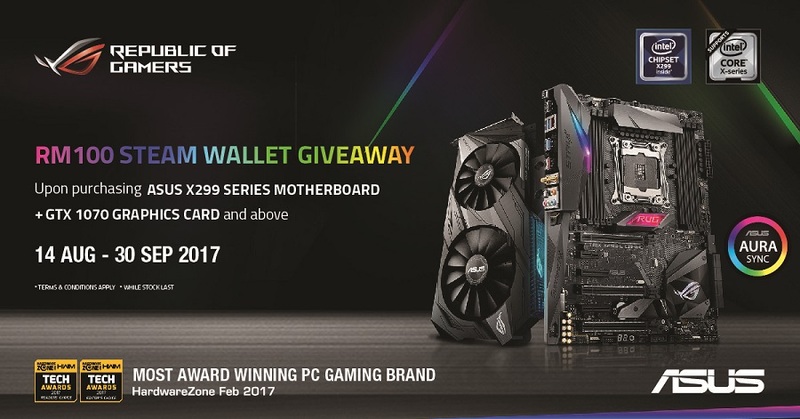 Buy a ROG X299 motherboard & GTX1070 for a free RM100 Steam Wallet! Take note for all gamer and PC building enthusiast! If you are grabbing a new motherboard an a decent graphics card for your next big dream gaming rig, check out the offers from ASUS ROG because they are offering RM100 steam wallet codes when you grab the ROG X299 motherboard along with ASUS GTX1070 graphics card! 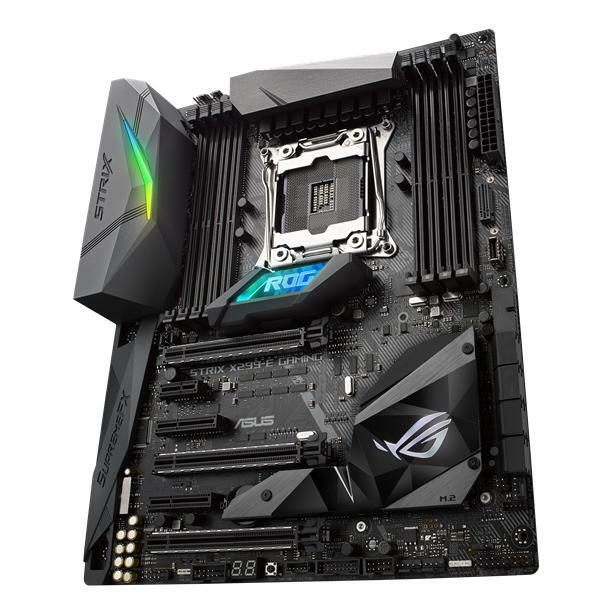 The ASUS X299 motherboard series includes ROG Strix X299 E-Gaming at RM1735, TUF X299 Mark 2 at RM1318 and Prime X299 A at RM1690. To redeem your steam wallet code, you must grab the ASUS ROG X299 series motherboard followed by GTX1070 graphics card at selected retail stores here by 14th August to 30th September. You can redeem your RM100 steam wallet at this link and will be receive the code in 14 days through email or SMS. 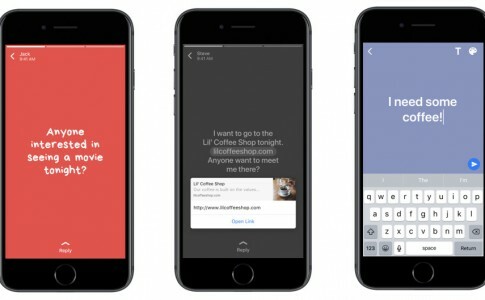 WhatsApp Status now adds Facebook alike feature: Text with background colors! 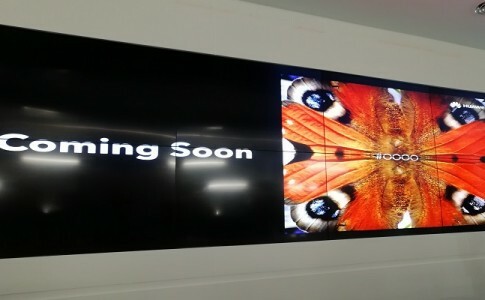 Huawei first dual front and rear camera – Nova 2i coming this Sept! 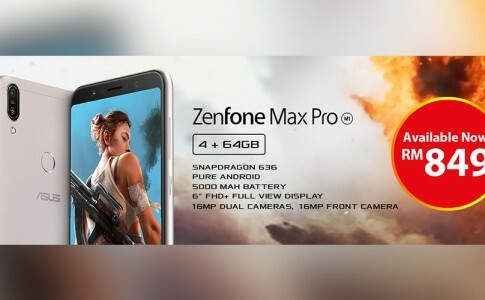 ASUS ZenFone Max Pro M1 (4GB) is FINALLY on sale for RM849! Alleged Huawei P Smart Z concept appears online, retailing at RM970? TuneTalk brings discounts on vivo V15 Pro 8GB with free data for a year! Samsung Galaxy Fold teardown by iFixit! 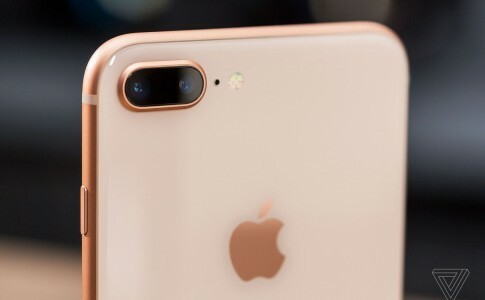 RM750 off Apple iPhone 8 Plus at 11street!